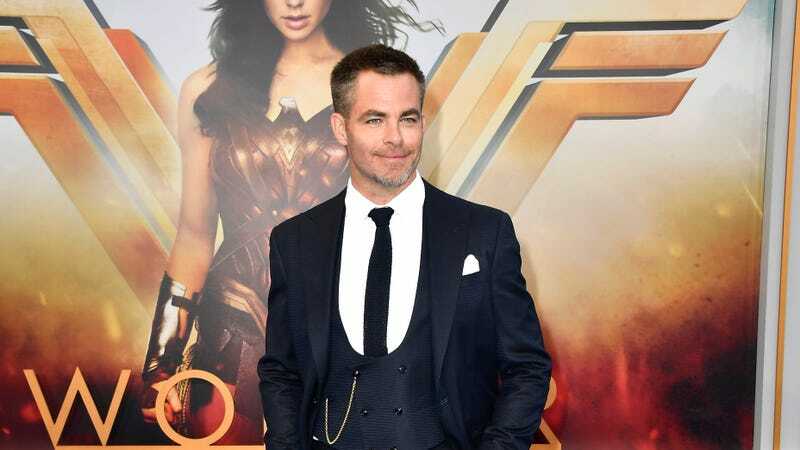 As reported by Deadline, Chris Pine has signed on to star in an untitled limited series about Robert F. Kennedy for Hulu, with The Good Wife executive producer Todd E. Kessler writing and executive producing. The show will be based on Larry Tye’s Bobby Kennedy: The Making Of A Liberal Icon, with the Deadline story explaining that the book depicts Kennedy as a “bare-knuckle operative, cynical White House insider, and romantic visionary,” and it drew upon “hundreds of interviews with Kennedy intimates” as well as “unpublished memoirs, unreleased government files,” and boxes of “locked away” papers. This announcement comes as the life of Bobby Kennedy has become an unexpectedly hot property, with the guy behind the terrible Dark Tower movie (Nikolaj Arcel) teaming up with Matt Damon for his own RFK movie called RFK. It’s tough to say if the movie and Chris Pine’s Hulu show will cover similar ground, though, since Arcel’s Dark Tower movie bore no resemblance to the books it was based on and his Kennedy movie might also be similarly unrecognizable.